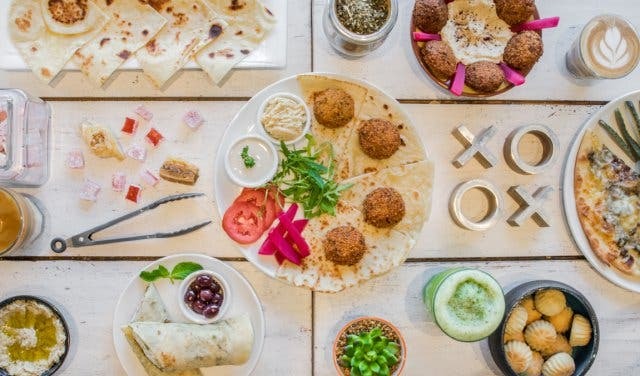 Do you know where to find outstanding falafel in Cape Town? Depending on who you ask, you’re likely to hear a variety of different answers. 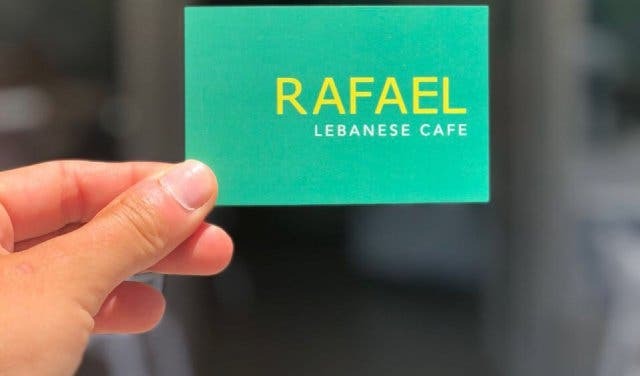 But a recent arrival in the arena of epic falafel is Sea Point’s Rafael Lebanese Cafe – a genuine Lebanese eatery serving up flavour sensations straight from Beirut, and at R10 a pop for a falafel, this is an unbeatable price for an authentic delicacy. 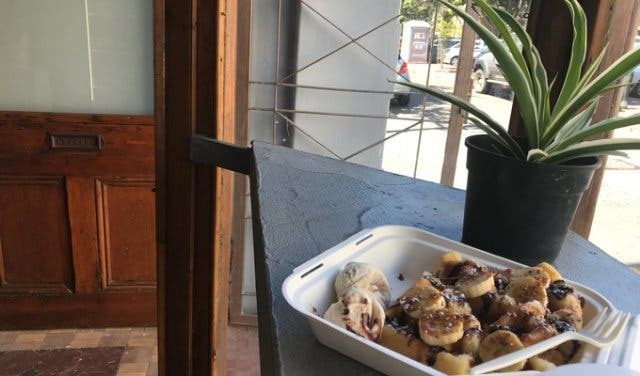 Situated in the busy stretch of Sea Point Main Road, Rafael is the third restaurant in the stable from owners Mikhael and Angelic Bou Rjeily, following Mishu Coffee in the same suburb and Byblos Trading Co. in Woodstock. 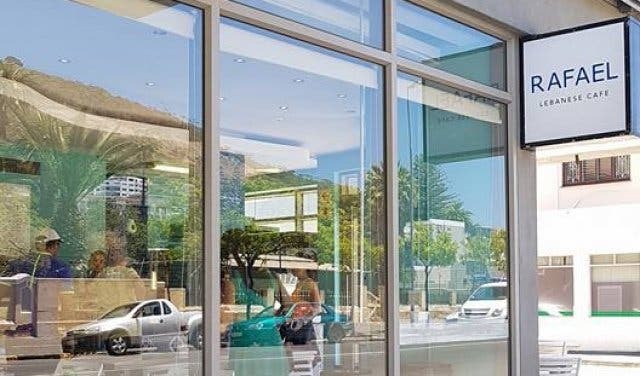 After opening in December 2017, the clientele has been steadily increasing. 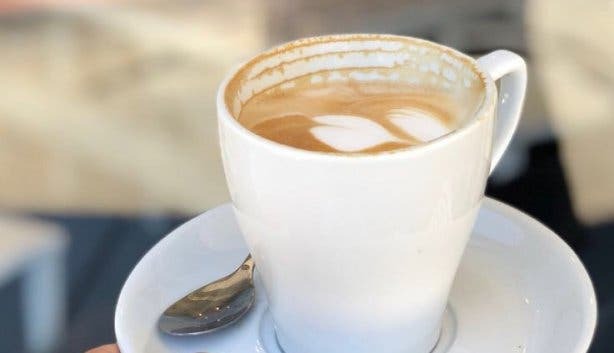 The first impression you get here is that their approach to management is hands-on; the couple walk around the quaint cafe greeting their patrons and you can immediately feel the friendly atmosphere as you pass through its doors. The laidback, cafe-style atmosphere is welcoming, with outside seating available for patrons to enjoy their breakfast or lunch while soaking up the lovely Sea Point setting. 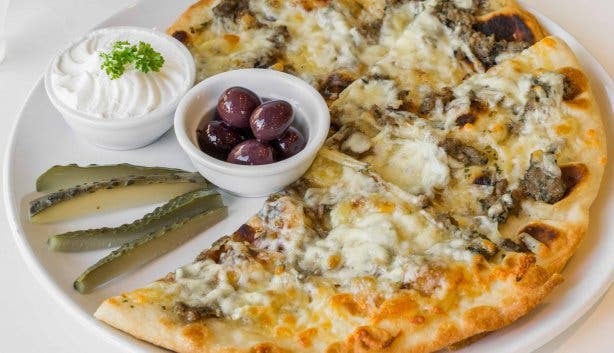 An outstanding dish on the menu, also one that is also quite hard to find in Cape Town, is manouche, a traditional Lebanese flatbread served with olives. During our visit, we were fortunate enough to try a few variations of it. 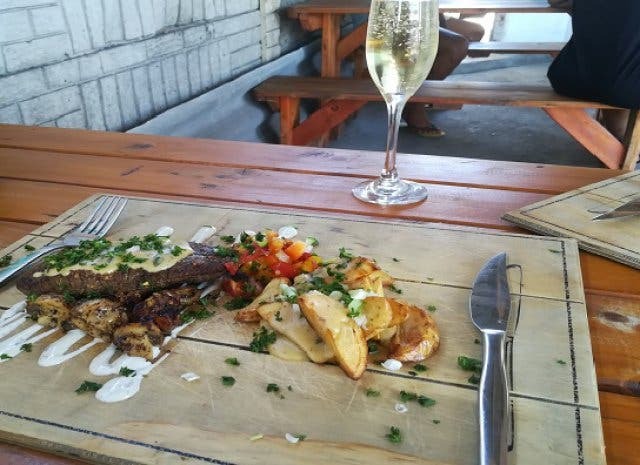 “We serve manouche and it’s very much unique. It’s flatbread with za'atar (made from dry thyme and sesame seeds) and then it is baked. You can make different versions from this,” says Angelic. 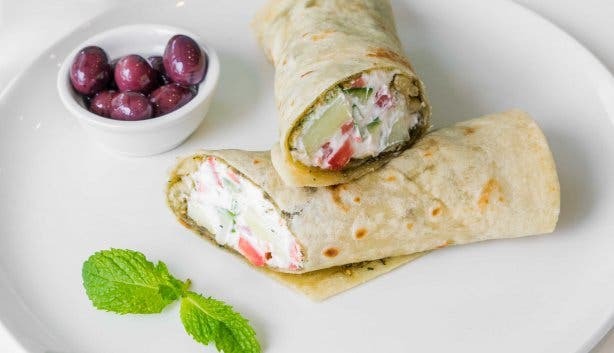 The combinations we enjoyed were manouche with zaatar, manouche, zaatar and falafel, and lastly, manouche, zaatar rolled with labneh, tomato, cucumber, and mint. 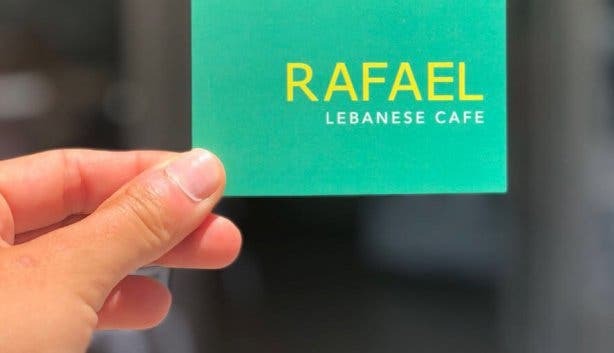 In Lebanon, manouche is traditionally a breakfast dish, so at Rafael, there’s the option to enjoy it as your first meal of the day. 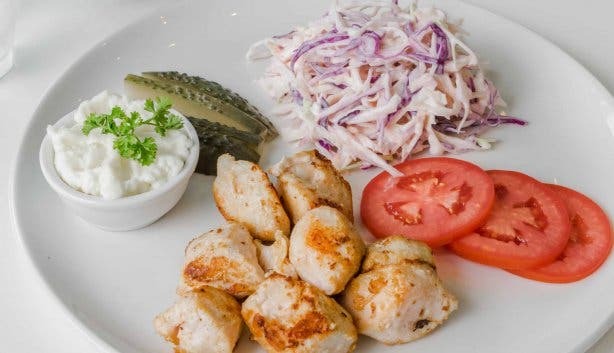 The owners regard the food from their homeland as both social and enjoyable, which is why they did not opt for a fine dining restaurant. 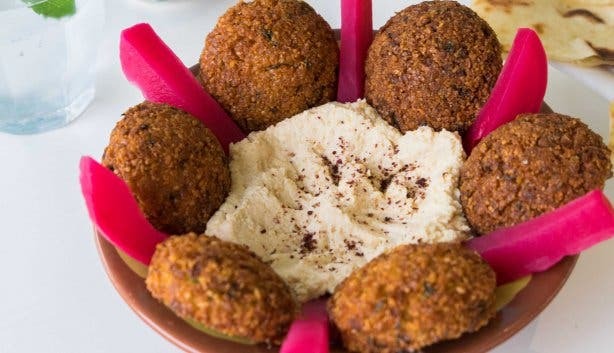 “Lebanese food needs to be enjoyed and homely,” Angelic shares. 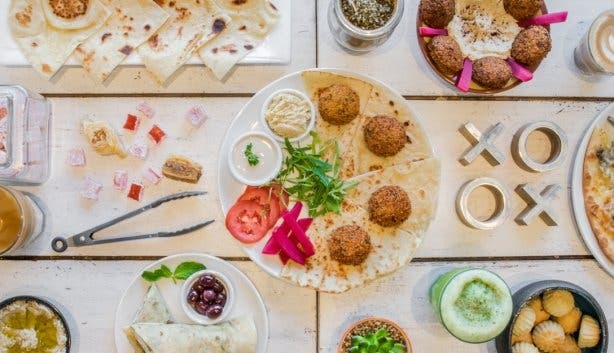 The idea is to give Cape Town a true taste of Lebanon in a homely and laid-back setting. 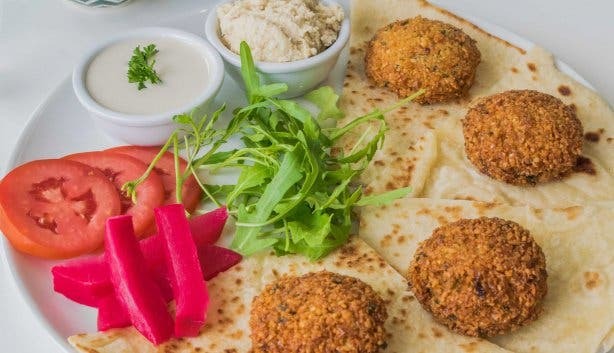 Note: Hummus, zaatar, and falafel are made daily from scratch with fresh ingredients. Tip: Opt for the Turkish coffee with baklava pairing if you still have space after the falafel and manouche.